Now I went into this film with little to no expectations on what I was watching, I barely knew anything about the comic that spawned this but I had recalled the many attempts by James Cameron and others to bring this to life. This screening just seemed mildly interesting to me, wasn't much different than any of the screenings I've attended over these past ten years. So I decided to take my daughter to see it thinking it would be a great daddy-daughter thing. Oh, man, was I spot on correct in thinking that. It turned out we both tumbled into the very type of classic movie that I always strive to go see anyways! There's a lot of heart put into every detail. You'll instantly fall in love with this character right off the bat. Truly a female action hero, that James Cameron is known for creating, women of all ages have a new hero to look up to. Superb acting by our main heroine locks in the reality of this universe. Time passes easily on screen without ever feeling bored. All of this will be relatable to the entire audience across all manner of people from every walk of life. My daughter and I had a blast and are extremely looking forward to the day it releases so we can go see it again and again. We were grateful to be very fortunate that we were able to go see the advanced screening. 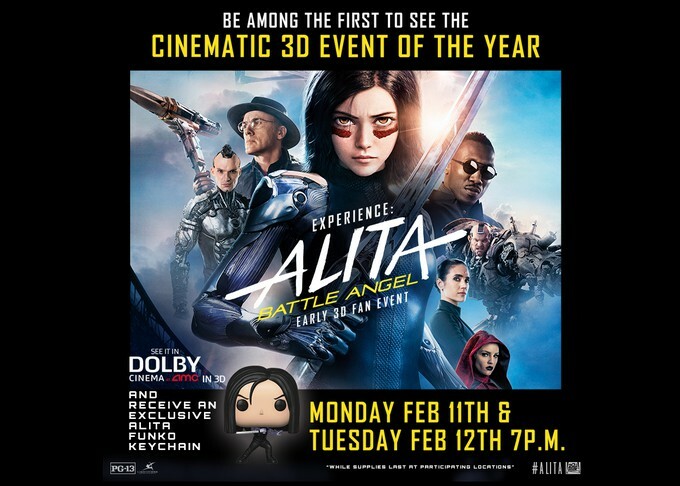 I've heard from the people that were actually Distributing the film that they've been having issues of getting large crowds for screening (that's likely due to the screening having been done in LA, they tend to be jaded to all new films) I suspect this has a lot more to do with the fact that advertising has been oddly silent on this film and or at least not on too many radars...that's going to change I expect. Low advertising might be a by-design thing, deciding saving money in costs on the questionable benefits of ads vs word of mouth. The success/hit of this at the box office will depend largely on word-of-mouth movie Slow Burn. 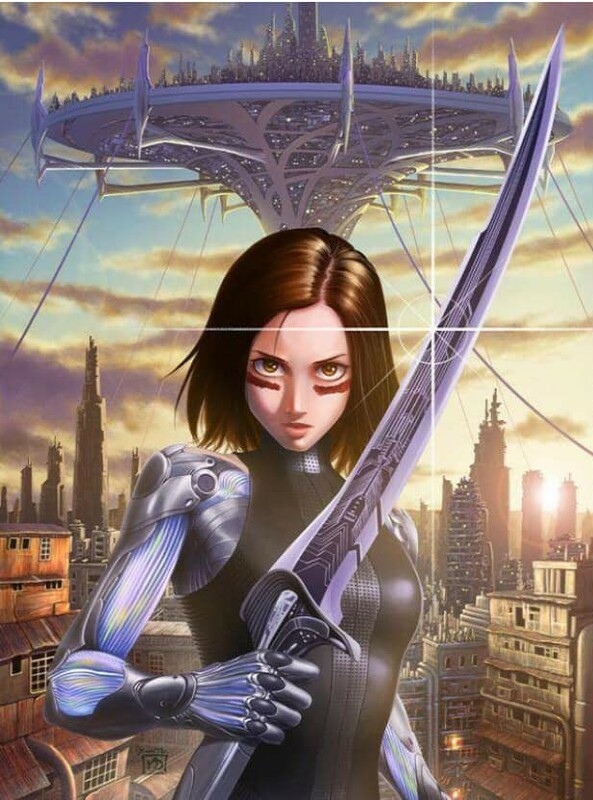 Battle Angel Alita is cut From the Same Cloth as Avatar, aliens, Predator, the Titanic, Robocop and several other movies that redefined a genre. This definitely has its own thing. 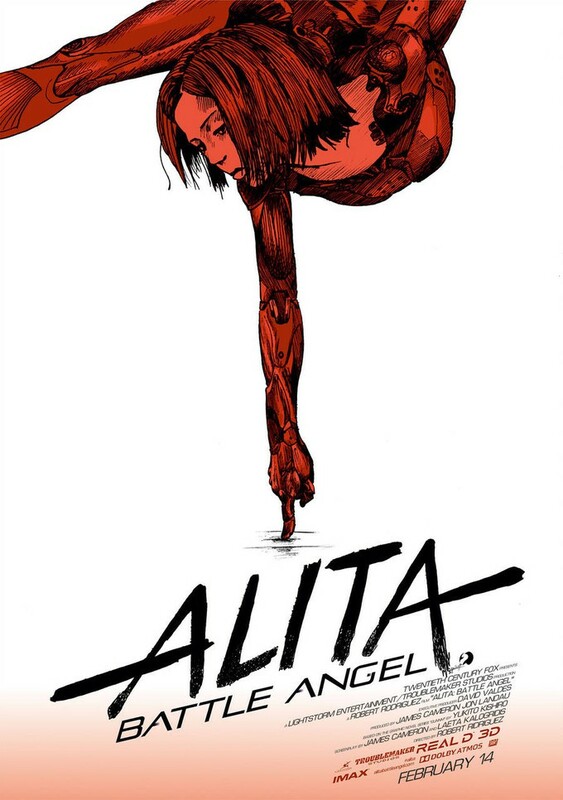 Now I stated earlier that I had never really read the Manga comic that was the source material back in the day, I was, however, familiar with it in passing. all I can say is that after this comes out there'll be several Generations created of people that will be diving into every bit of the comic books tied to this "Cameronverse" or should I call it "Rodriguezverse?" As with most of James Cameron and Robert Rodriguez films, it leaves you wanting more and I eagerly await more of it myself.